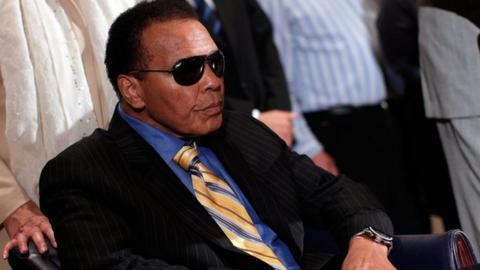 Three-time former heavyweight world champion Muhammad Ali has left hospital after receiving follow-up care for a urinary tract infection. Ali was released from hospital earlier this month following a two-week stay before being readmitted. Family spokesman Bob Gunnell said Ali had left the undisclosed hospital and returned to one of his homes. He added that Ali was looking forward to celebrating his 73rd birthday on Saturday with family and friends. The American retired from boxing in 1981 before being diagnosed with Parkinson's Disease in 1984.